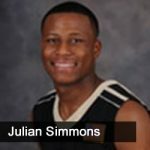 Gary Pinkerton talks with Julian Simmons, former Army basketball player, about his journey into real estate investing. Julian started out in finance doing the typical things like stocks & bonds, but eventually realized he was taking risk he didn’t need to take. Once he decided to invest in real estate, he saw his world open up. Julian & Gary discuss Julian’s rental journey, his investing criteria, how he self-manages his properties, and what we can learn from habits of the family office.